Sika hunting is only available in the North Island which means you will visit the North Island as part of your safari. Sika hunting in New Zealand is extremely popular, especially in the North Island which is the home of the sika stag. We have access to the largest free range property for sika hunting in New Zealand. You will see hundreds of sika deer roaming free in the spectacular central plateau area; North Island New Zealand. 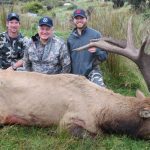 Sika hunting in New Zealand with Lake Hawea Hunting Safaris is a once in a lifetime experience, well actually for many hunters it’s not, because once they get a taste of it they can’t stop coming back. Sika hunting really is one of our favourite hunting experiences to share with our clients. Sika deer and more importantly sika stags are only found in the North Island, this means you will visit New Zealand’s North Island on your hunt for a New Zealand sika stag. All our sika hunting is from comfortable accommodation at the property. It is very common to see sika deer from the accommodation, it is also common to hunt for 4-5 days and still not see all of this sika deer hunting property, it is huge, it holds unrivaled numbers of trophy sika stags. If you want to hunt New Zealand the South Island is a hunting Mecca, the North Island’s only advantage over the south is that it has the sika. We are a South Island based operation but we have access for the best sika deer hunting in New Zealand available. Hunting sika is just so much fun, comfortable accommodation and amazing animal numbers, backed up by professional kiwi guides and good old kiwi hospitality. Sika hunting in New Zealand is an experience not to be missed. 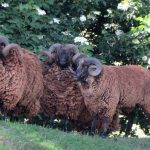 Trophy sika stags and trophy red stags are available at the property as well as great value cull stags from both species. Large sika stag trophies of 8-10 points are common from 160 Douglas Score to 200 Douglas score. Many trophies will reach gold medal SCI score. When sika hunting there is no extra charge for large trophies, large sika stag trophies can be taken for the same base level trophy fee. Cull sika stags are available at the discretion of the guide. Sika stags can be hunted from March until July, the best dates are during the sika deer rut which is in April and May.